Looking for a legendary Karaoke Night? Then look no further. Our Karaoke Night is set in the stylish surrounds of Dom’s Cocktail Lounge Bar at Panthers Penrith. Our Karaoke Night gives you the chance to empty your lungs and fill up the eardrums of strangers. 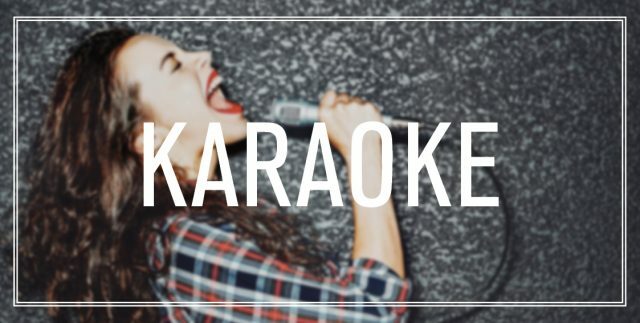 An unofficial ‘No Judgement Zone’, our Karaoke Night lets you belt out Sweet Carolina with all the passion you have when you sing in the shower. Brought to you by ‘4 U 2 Sing Karaoke’, the list of tunes to choose from is massive. So if you have an epic singing voice that needs to be shared with the world, or you just want to provide entertainment or a good laugh to your friends (and some strangers), get to our Karaoke Night every 2nd and 4th Thursday of the month. Tone deaf or can’t sing? You need not worry about polluting the sound waves, with insanely delicious $10 cocktails and $10 pizza, your mouth will be too busy to contemplate singing. Save your moment for another day. Or, leave and try one of our 10 other bars all located under one roof.